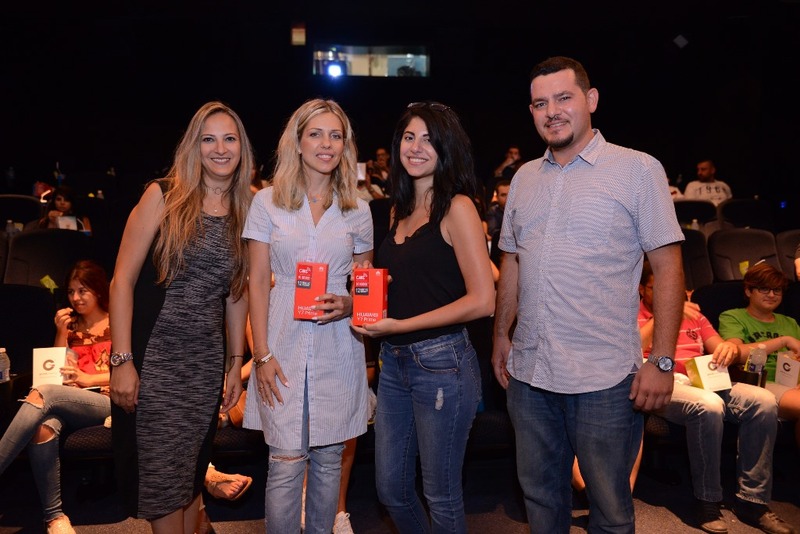 Beirut – July 21st, 2017: Huawei Consumer Business Group (CBG) revealed its newest smartphone, the Huawei Y7 Prime during the screening of Transformers: The Last Knight at ABC Achrafieh in IMAX 3D experience. The event, attended by members of the Lebanese press, was an opportunity to explore the features of the device, get hands-on experience and enjoy watching the movie with their family and friends. Delivered by Huawei representatives, the presentation showcased Huawei Y7 Prime features – the latest addition to Huawei prime devices category. With its durable battery, wide 5.5” screen, and fierce metal body, it seems there is nothing this phone cannot do – just like a transformer. Marking the launch in Lebanon, Huawei hosted a reception where a short video introducing the key highlights of the device was looping on LED screens in the lobby area. Guests were also invited to capture photos using the “Performance Monster” camera. A raffle draw took place before guests stepped into the theater where two lucky winners walked away with the powerful device. بيروت، في 21 تموز 2017: كشفت مجموعة "هواوي" لأعمال المستهلكين النقاب عن أحدث هواتفها الذكيّة، Y7 Primeخلال عرض أول لفيلم Transformers: The Last Knight (المتحوّلون: آخر الفرسان) في مجمّعABC – الأشرفية عبر تقنية IMAX 3D. واستضافت الشركة عدداً من الإعلاميين اختبروا مميزات الهاتف الذكي من خلال تجربته، وشاهدوا العرض محاطين بالأهل والأصدقاء.